Call 330-631-5827 for a FREE QUOTE! Welcome to Tri County Roof Cleaners. 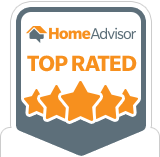 Serving most of Cleveland, Akron, Canton, and Northeast Ohio. Trust the Roof Cleaning Specialists. Tri County Roof Cleaners specializes in commercial and residential roof cleaning. We treat black streaks, lichens, moss, and algae. While we specialize in roof cleaning, we also offer house cleaning (either using pressure or a soft wash), gutter cleaning, and surface concrete cleaning. We serve Summit county, Portage county, Medina county, Wayne county, Stark county, Cuyahoga county, and other areas of northeast Ohio. Tri County Roof Cleaners specializes in black stain (algae), moss, and lichen removal. Not only does the algae look horrible, it sets roots into your shingles. As that root system grows, it pops out the granules from your shingles, shortening their life. We offer a 2 year guarantee on our work and a maintenance program to keep your roof clean. Call us at (330) 631-5827 or Request a FREE QUOTE Online. Why should you hire Tri County Roof Cleaners to clean your roof? Prolong shingle life and remove ugly roof stains. Inexpensive, fast, dramatic home improvement. Save thousands over the cost of a new roof. Protect yourself against homeowner insurance policy cancellation. 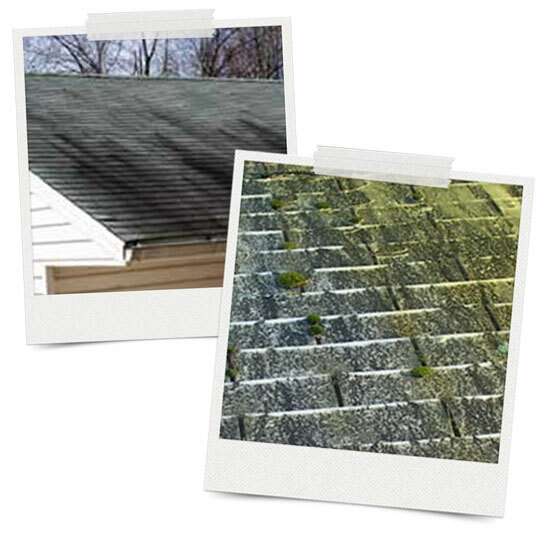 When you first look at your roof and begin to see those black streaks multiply or the moss slowly take over your roof, you think about how bad it looks. What you don’t think about is how bad that stuff actually is for your roof. The algae, mold, moss and fungus is living material that is literally eating your roof, not to mention, becoming a breeding ground for bugs and the spiders that eat those bugs. Left untreated, you could lose 5, 10, even 15 years off your roof’s life. Most roof cleaners either use bleach (soft wash) or pressure to clean your roof. Each method has its advantages and disadvantages, but they both work and will get your roof clean without damaging your shingles. We have the ability to use either method depending on your individual situation and preferences. See our Customer’s Before & After photos. Tri County Roof Cleaners uses a soft wash to treat and clean your roof. We do not use pressure as this will harm the shingles and can lead to pre-mature shingle failure. Why REPLACE your roof when you can clean it!